What's Wrong with "Ask > Thank > Report > Repeat"
My pal Steven Screen is one of the best fundraising copywriters in the U.S. Seriously! He and his friend Jeff Brooks have a great podcast called Fundraising Is Beautiful. You might want to check it out. Valuable engagement opportunities will involve your supporters on a deep, emotional level. Sadly, most fundraising is absent meaningful engagement because it’s time-consuming. But, nowadays you can leverage technology to provide fantastic one-to-many engagements. Without engagement, your relationship with your supporters will focus more on the transaction. Engagement will bring the transactional nature of donating up a level— to a serious, emotional relationship. 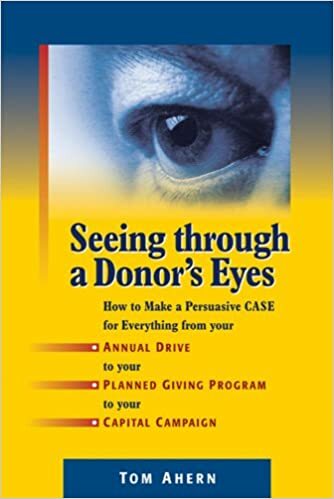 The examples you provide are all offers – which are all other “asks” we would be making to donors and non-donors alike. An “ask” is usually for a monetary gift, but it doesn’t have to be! This post more adequately describes how you can engage your donors with unique asks that aren’t always about money! Indeed! That’s “Engagement Fundraising!” Thanks for engaging with me! !